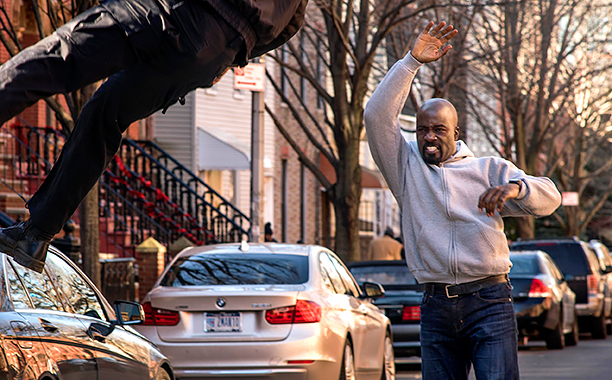 The highly anticipated new series Luke Cage premiered on Netflix on Saturday, which naturally resulted in countless binge-watchers indulging in all 13 episodes of the first season. Or at least as many episodes as they could get through until the popularity of the show broke Netflix. Apparently Netflix crashed in isolated areas, leaving Luke Cage fans WITHOUT LUKE CAGE! As you can imagine, it was a nightmare for those people. Just so we’re all the same page, Luke Cage, AKA Power Man, is an impervious, crazy strong hero in the Marvel Comics world that eventually escapes a false imprisonment and gains superpowers in the form of unbreakable skin and superhuman strength, becoming a member of The Avengers and Heroes for Hire. So basically an all-around badass super hero that people COULD NOT WAIT to see in action on Netflix. Unfortunately, their viewing was interrupted by the overload of viewers. People were so thrown off by the crash, they took to Twitter to vent their frustration, and of course the tweets were nothing but hilarious. The outage lasted more than two hours, but Netflix made it clear that they were aware of the problem and were working on fixing it. The official Luke Cage Twitter page was even aware of the problem. And then it happened — Netflix engineers fixed the problem like the super heroes they are. "Not all heroes wear capes. Engineers to the rescue. We're back. @Netflixhelps"
It’s still unclear as to what caused the issue. But just like that life went back to normal, and all was right in the world of Luke Cage.